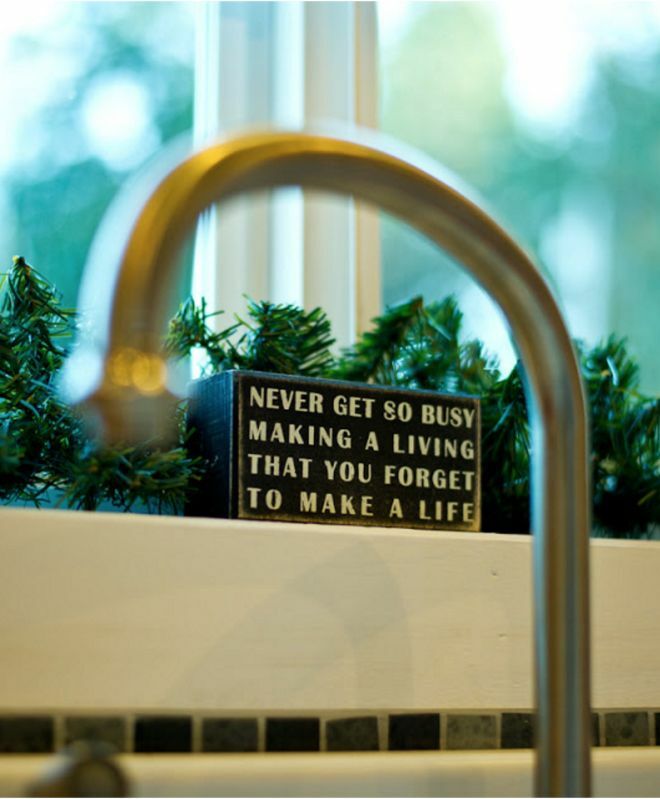 Multifacetic Michelle Boyle started building her dream home at the age of 47 inspired by a simple photo she saw once on Pinterest, according to the Oregonian. Having had an "unfortunate series of events" in her life, Boyle didn't have any money for her retirement and didn't want to have to deal with mortgages, so she just designed and built her tiny house. As she recalls on her blog My Empty Nest, the mother of two moved to her very own tiny dream once her kids grew up and moved away. You can see the tour of Michelle Boyle's tiny house here but, first, take a look at the kind responses she had for all the questions we had for her at Tiny Home Tour. 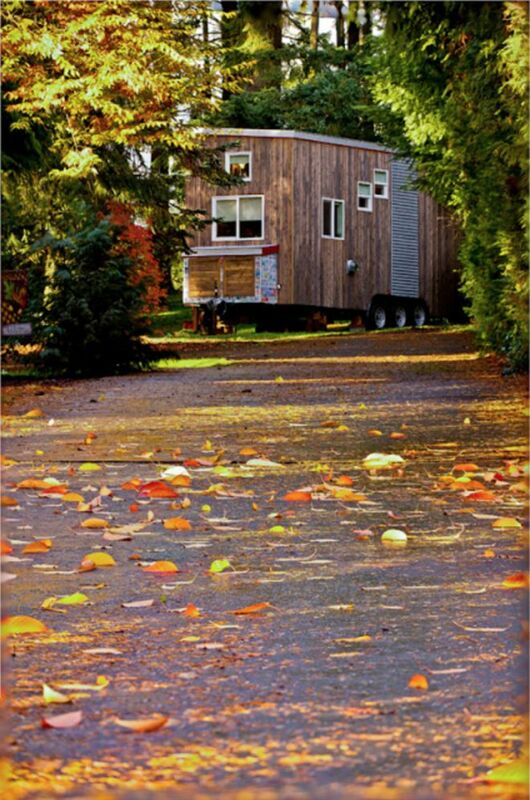 Can you describe yourself and how you come to live in a tiny home? I am a proud single mom and have been the sole provider, for 13 years, of two now-college-aged “children”. I am also a procurement professional, a patented inventor, a public speaker, published author, Glamping enthusiast, and the Tiny House Podcast hostess; as well as designer, builder, and now occupant of my tiny house that I call My Empty Nest. My life has been an unfortunate series of events that has left me with NO savings for retirement. As I looked forward to my future I knew I had to start now, to downsize and simplify my life in preparation for a time when I will not be able to work full time. The freedom that I will have when no longer chained to a high rent payment and the utility bills that come along with living in a large home. 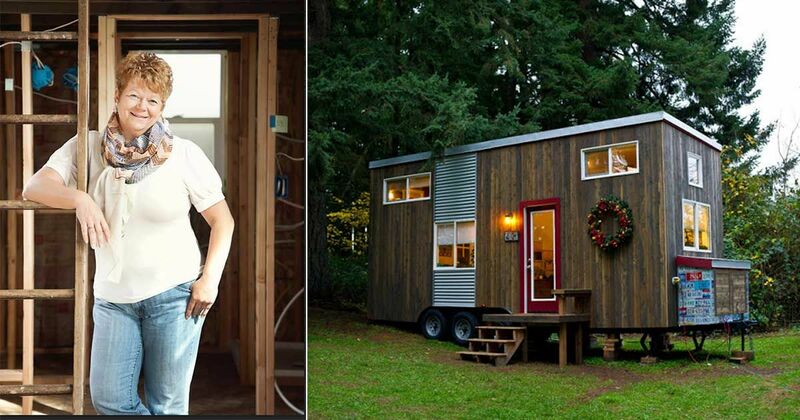 When I started to plan for my tiny house I had NO money. I came up with a plan to use several somewhat creative methods to finance my build including flipping a vintage RV, refurbishing and selling furniture, selling my excess household items, cashing out my small 401K, and finding corporate sponsors. At first they didn’t understand it, entirely, but as my vision came to life they embraced it as yet another one of my great ideas and now many of them are quite envious. It forces me to address clutter immediately, to be creative about storage and when deciding what things are important to me. And, I have had to downsize my shoe collection from the 100+ pairs I started with. I’m still pouting a bit about that. All of my expenses for my tiny house including space rent, electric, water, wifi, insurance, Netflix, and propane is only $112 a month. Mic Drop….. It is not easy. It is a tough decision, they’re hard to build, almost impossible to finance, and downsizing is a long process that requires a lot of introspection. Tiny living is not for the faint of heart. Having a tiny home is actually not about the house, it’s about who you are, and what you want from life, and where you see yourself going. With or without wheels…..
Simplify your life. You don’t need 6 spatulas and 100 pairs of shoes. You don’t need to keep your prom dress or your house décor from 1980. If you have not fixed that thing you’ve been meaning to fix for 5 years, throw it away. The less stuff you have, the easier things are to find, to store, and to move. I designed my own tiny house on graph paper. I hired out the framing, the electrical and the gas line installation because they’re important, and scary, and mistakes are dangerous. For everything else I did it myself or I had the help of many friends, and I paid a few helping hands when I was running behind schedule. I recommend that if you’re thinking of building your own tiny house, plan to spend more time planning and researching than building. Consult professionals with things that scare you, and don’t try to take on too much at once. One project at a time, one day at a time.